During and after a traumatic event, the human body typically will try to protect itself from further harm in any way possible. This stress response is known as the fight or flight response. This was originally developed to help people make rapid decisions when in potentially life-threatening situations. In many cases, people can bounce back from this response and continue to go about their daily lives. 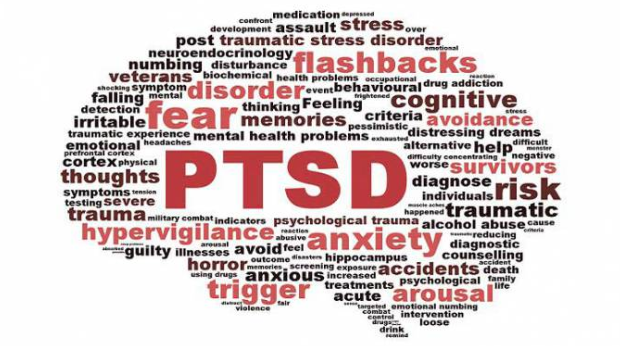 In other cases, some people end up developing post-traumatic stress disorder also known as PTSD; a condition that can last for months or years after the event. PTSD affects nearly eight million Americans, according to the Anxiety and Depression Association of America. One of the groups most susceptible to suffering PTSD is the military. According to the U.S. Department of Veteran Affairs, the percentages of combatants who suffer from PTSD are fairly similar among veterans who served in the Vietnam War, Gulf War, Operation Iraqi Freedom and Operation Enduring Freedom. The symptoms of PTSD are ongoing and long-lasting. It is fairly common for people to experience one or more symptoms after a trauma such as re-experiencing or intrinsic memories, avoidance, mood or thought changes, and physical or emotional reactions. Antidepressants and benzodiazepines are often prescribed to treat PTSD symptoms; however, many people prefer using cannabis as a natural alternative to these drugs. In fact, PTSD is defined as one of the qualifying conditions in the Pennsylvania Medical Marijuana Program. Researchers believe cannabis works by removing associations to painful memories. By extinguishing memory associations, PTSD patients may gradually see symptoms improve. Some researchers believe patients suffering PTSD have an endocannabinoid deficiency. When you have an endocannabinoid deficiency or dysfunction, you’re no longer able to forget,” Neuroscientist and author Dr. Michele Ross states. “So, that’s why cannabis helps. It activates those cannabinoid receptors and helps you let go of those horrible memories that are keeping you up at night and are causing you not to be able to function.” A 2009 clinical trial in Canada showed that the nighttime administration of THC reduced frequency and intensity of nightmares in 72% of the 47 patients studied. *Patients should understand medical marijuana is not a cure; as it only helps cope with the symptoms associated with PTSD.